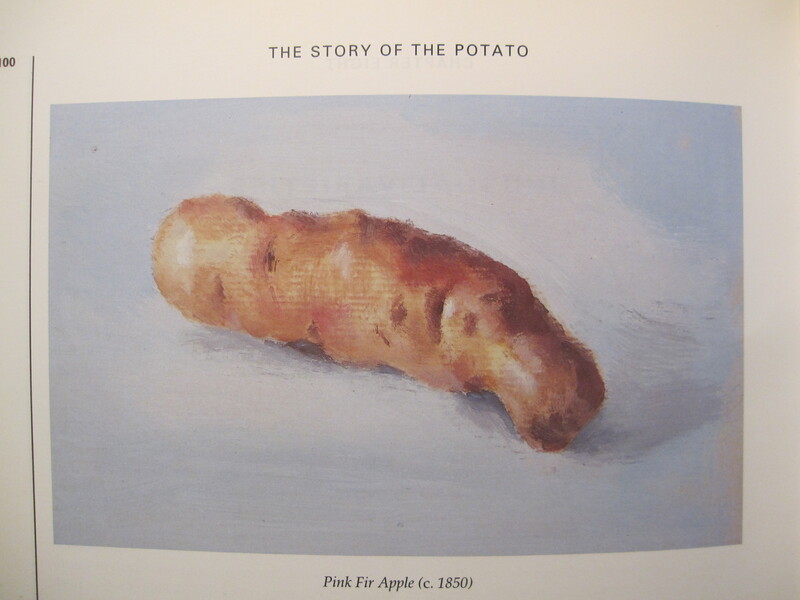 My favourite book on the potato (actually its my only book) is ‘The Story of the Potato; through illustrated varieties’ by Alan Wilson. Published in 1993 this is an overview of the development of potato varieties from the mid eighteenth century onwards, which not only details the history and characteristics of the tubers it is illustrated with colour paintings by Faith Harris. 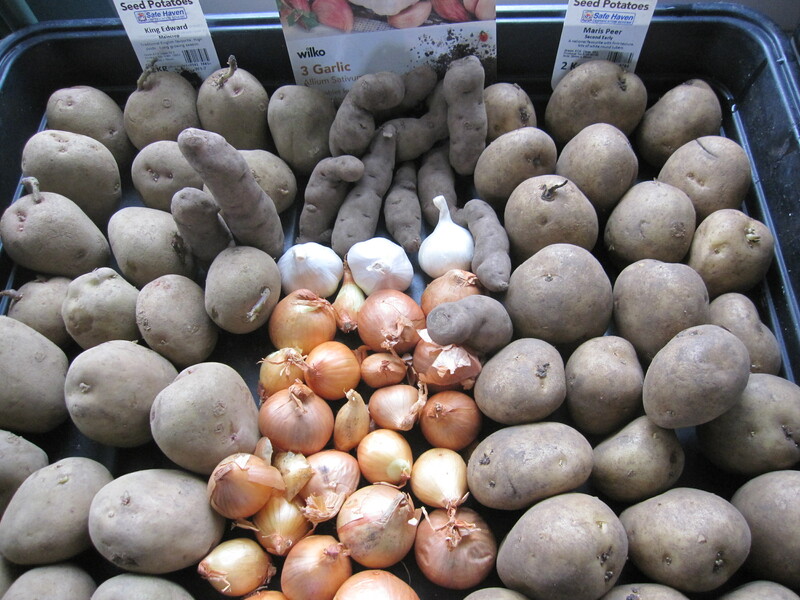 ‘It is very prone to blight and tubers should be eaten when lifted as it is a poor storer and must be dry when stored.